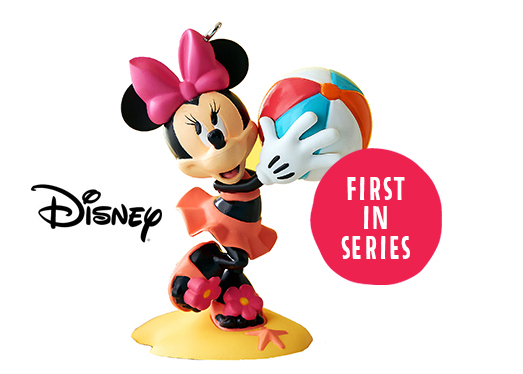 1st in series ‘Minnie Has A Ball’ Keepsake Ornament compliments the ‘A Year of Disney® Magic’ Ornament Display Stand promotion below. Quantities are limited. By Orville Wilson. 3” h.
See Contest Rules and Regulation. 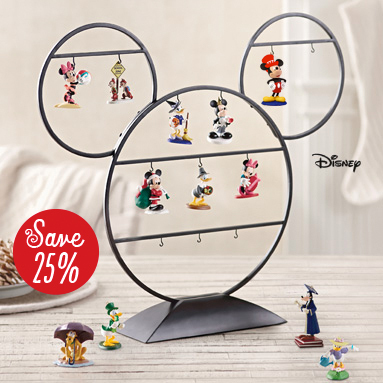 Collect and display all 12 of your ornaments from the ‘A Year of Disney® Magic’ Collection. A new Ornament will be available each month starting July 2014 to help celebrate a special time of year. 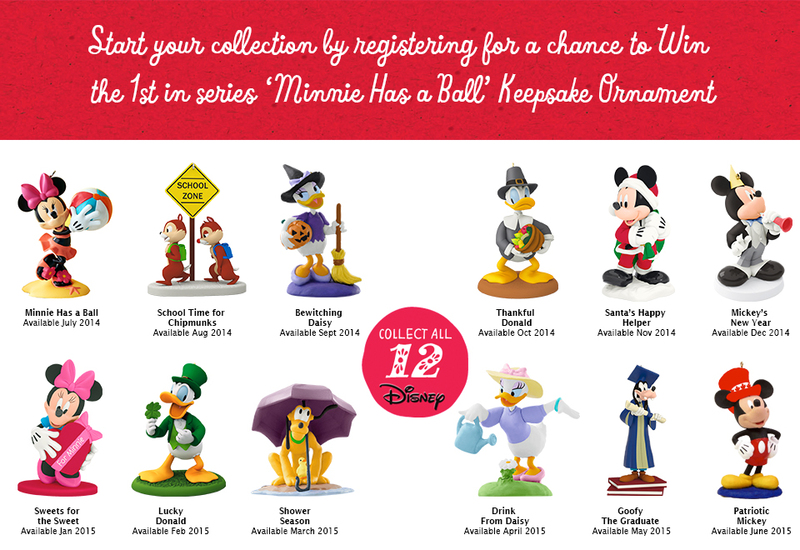 with any Hallmark Disney® Keepsake Ornament purchase**. *Available at participating Hallmark Gold Crown stores in Canada, excluding Quebec. See contest rules and regulations for more details. **Offer valid 7/12/14 – 7/13/14 while supplies last. Limit one per customer. Not valid with any other offer or on past purchases. Tax not included.